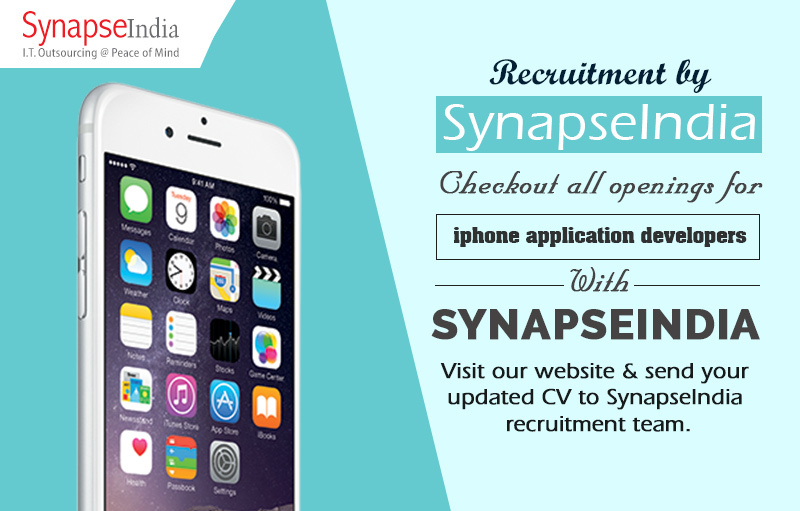 SynapseIndia recruitment is hiring for current openings with our iPhone development team at company's Noida based headquarter. So, if you're an iPhone developer and looking forward to work with some of the most brilliant minds in IT industry, SynapseIndia is the place to enrich your career. SynapseIndia has been into mobile application development for the period of more than a decade. With a strong team of more than 500+ professionals at SynapseIndia, we are one of the most reliable IT solution provider company in India. Contact SynapseIndia recruitment team to know the latest jobs opportunities with us and apply for a exciting career.